She's the first world leader in 30 years to give birth while in office. The woman is a L-E-G-E-N-D. Here are four reasons why the world can't stop talking about this badass. At 37, Jacinda Ardern became her party's youngest leader and New Zealand's youngest Prime Minister in 150 years. She defeated former Prime Minister Bill English in the October 2017 election. "I feel utterly humbled by the privilege of now officially being the Prime Minister. Thank you. I will give it everything I have." She is the first world leader in almost 30 years to have a child while still in office. 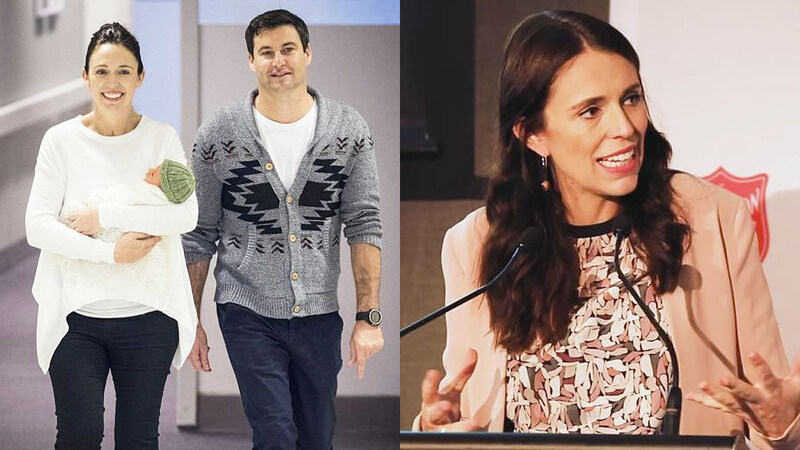 In June 2018, Jacinda and her partner, Clarke Gayford, welcomed a baby girl and named her Neve Te Aroha Ardern Gayford. "Neve" means "radiant, light, or snow" and "Te Aroha" (TAY AH-row-ha) means "love." Jacinda and her partner Clarke—that's right, NOT husband—are all about gender equality. Jacinda will take a six-week parental leave, but it's Clarke, a host of a fishing docu series, who will stay at home with their baby girl. Addressing the media, Jacinda said, "I hope for little girls and boys that there's a future where they can make choices about how they raise their family and what kind of career they have, that are just based on what they want and what makes them happy." She is making huge strides for parents in New Zealand. Even while on maternity leave, Jacinda takes her new responsibilities as Prime Minister very seriously. Bare-faced, she talked about the families package, an essential part of the labor's campaign promises. The goal is the make NZ the "best country in the world to raise a family." What does this mean for new parents? Parents of babies born from July 1, 2018 onwards will receive 18 to 22 weeks of paid leave, as well as a weekly stipend for the first year. Here's hoping other world leaders are taking notes!